Digital cryptocurrencies have been taking off this year in a big way. New Millionaires are coming up almost daily as Digital Currencies such as Ethereum, Bitcoins, Ripple, Litecoin, and other Crypto currencies get to all-time highs. It has somehow become a modern day gold rush. So you intend to buy Bitocoins, Ethereum, Litecoin or any other Cryptocurrencies? This guide will give you a step by step guide on how to join the trendy crypto currency revolution. 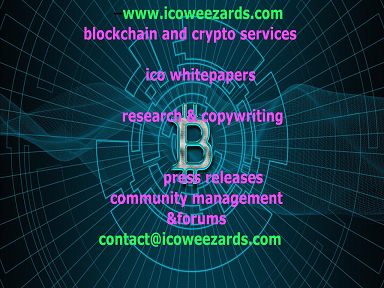 Whether you are totally new to issues crypto currencies or you are just looking for the best sites and exchanges to buy and sell crypto currencies, we as Coinweez are here to help you make the best choice. Basically, Cryptocurrencies can be bought and traded from which are available in many forms all over the world. They can be traded between friends, strangers and family or through third party apps that help one to get buyers and sellers within your area or globally. The best way to buy Bitcoins is through the use of Bitcoin wallets. These are digital wallets for the exclusive use of buying and storing Bitcoins. There are several Bitcoin based wallets, but one needs to be very careful when choosing the Bitcoin wallet that meets your needs. Some of the Bitcoin wallets are device specific while others are web-based. 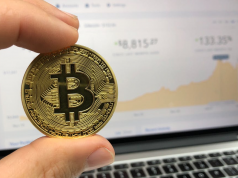 Bitcoin wallets are specific digital wallets that store Bitcoins until one is willing to spend them or exchange them for another currency or for buying stuff online. These Bitcoin wallets differ in terms of features, platforms they can be used on, and security features incorporated within. It is therefore very crucial to choose the digital wallet that works for you. After finding a wallet that has all the features you need, download it to the appropriate platform. For beginners in the digital currencies world, it is recommendable that you start off with the simplest wallet that ensures transfers are easy. Such wallets can be downloaded for free, but the fees may apply to the currency exchanges in the movement of money to these other accounts. Coinbase Wallet: This is one of the most popular digital wallets that is directly connected to its exchange service and is very simple to use, thus making it the most used service among Bitcoin wallets in the world. After you sign up, you receive some amount of insurance for the Bitcoin you store. You can access online from any device to check on your Bitcoins or in case you want to make any changes. Mycelium: This wallet is particularly popular because of being compatible with advanced technologies such as Trezor hardware wallets and Tor for purposes of maximum security. Electrum: this is mostly used on desktop computers which provide one with an encryption key for security. In case you plan to store a huge amount of Bitcoins online and want a safer option of storing Bitcoins, this would be the best bet. For you to buy Bitcoins without using a broker, you need an exchange. There are several exchanges out there which have varying degrees of performance. While some have closed down over the years because of security, and trustworthy issues, there are reliable exchanges that you can choose from. When choosing the exchange for buying Bitcoins, remember to compare the fees charged for purchasing Bitcoins and the available payment methods available on the exchange. Cex: this offers purchases of Bitcoins via PayPal and credit cards. It offers more simplicity for those who have some experiences of exchanges. The platform offers exchange rates, as well as basic Buy/Sell options. 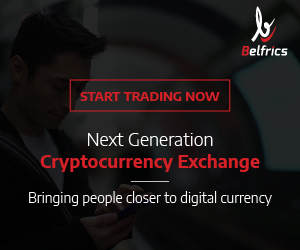 The exchange is can be accessed worldwide and has a trading platform that has the ability for margin trading. Anycoindirect: this is a European based cryptocurrency exchange. It does not have a dedicated online wallet as in the case of Coinbase. Its customers use their bank account to send money to the provider directly. After the exchange receives the money, users receive the amount in Bitcoins transferred to the address provided by the customer. LocalBitcoins: this is mostly a Peer to Peer Bitcoin exchange. In this exchange, Buyers and Sellers agree on the terms of the exchange. 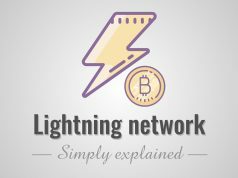 It connects local people who need to connect Bitcoins. The mode of payment is determined by the sellers. The platform offers PayPal, Bank Transfer or even cash as modes of payment. Also, the exchange offers a high degree of privacy. Kraken: This is a US based exchange and trading platform. The platform is also available for Europe based users as well. Additionally, the Exchange offers Bitcoin margin trading as well. The platform only allows for Bank transfers. Gemini: Currently only available in the US, this is a platform that works as both an exchange and trading platform. It allows individual and institutional customers to buy, sell and store digital assets. Also, the exchange is a trading platform. The only available payment method is via bank deposits. Okcoin: This is the largest Bitcoin exchange in China. It works as both an exchange and a trading platform. Bitstamp: This is one of the first regulated and linked exchange platform in the European Union. It allows for payment methods such as bank transfers and PayPal. The exchange also works as a trading platform. ShapeShift: this exchange is completely different from other exchanges. The major aim of this platform is for to facilitate transactions for users who hold a portfolio of different cryptocurrencies. The idea behind this platform is to enable easy swap of other coins without the need to register an account. The exchange offers a high degree of privacy for users. If you already own bitcoins this is the ideal place you can buy other cryptocurrencies. Bitcoin ATMs: This is another avenue where one can buy Bitcoins. They are public places where one can buy Bitcoins with cash. One will need to have a digital wallet first so that one can transfer coins to address of your choosing. 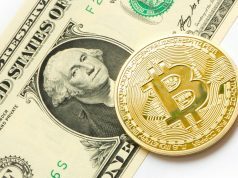 After choosing the right Bitcoin exchange for you, you can now purchase the amount of Bitcoins according to your purchasing power depending on the current price of the Bitcoin in the market. This action will automatically store your Bitcoin into an automatically generated account on your chosen exchange. 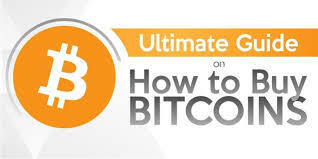 You should then opt to transfer these funds to the address of the Bitcoin Wallet that you have already created. Some exchanges may charge for this transfer. It is crucial to note that Bitcoin transfers tend to be quite sporadic. This is because of the fact that when you purchase Bitcoins, the action needs to be recorded in the Block chain and approved. This usually takes time mostly during busy trading hours. It is not unusual for a trade to take an hour or two to complete. Part II I will give a detailed guide on how to make a transaction: Sending and receiving Bitcoins and how to secure your Bitcoins.